Variety is the spice of life and these petite looking vegetarian chicken bites is just one variety in our collection of vegetarian recipes. Vegetarians who are looking to try something different and unique, this may just be what you are looking for! 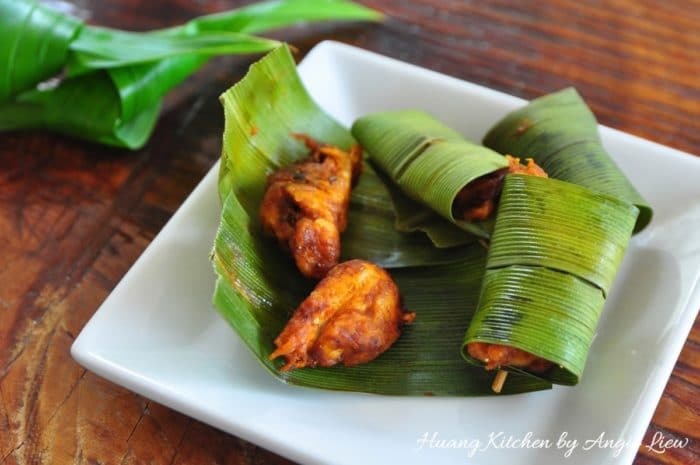 They are made by marinating the vegetarian chicken pieces in a curry spice marinade and then wrapped in screw pine or pandan leaves. They are then steamed for just 15 minutes and there we have it! Tasty vegetarian chicken infused with refreshing pandan aroma that are not too spicy, but very fragrant and so pleasing. You can also choose to deep-fry them and they will taste just as good. Aside from looking nice, screw pine leaves provide an added sweet enticing aroma to these steamed vegetarian chicken pieces. The amazing aroma of the leaves imparted in the vegetarian meat gives this otherwise ordinary and plain gluten pieces a distinct flavour and the wrapping, a unique presentation. They make great party appetizers and can also be served as a main or side dish. 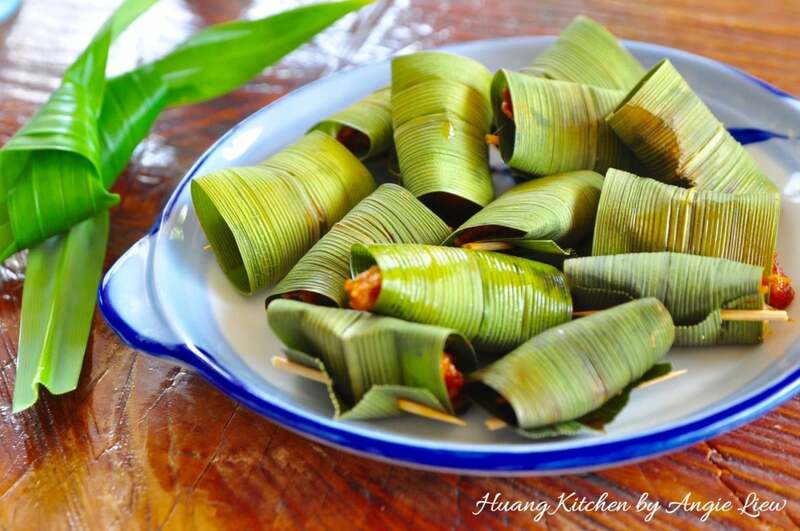 The amazing aroma of the pandan leaves imparted in the homemade vegetarian meat gives this otherwise ordinary and plain gluten pieces a distinct flavour and the wrapping, a unique presentation. They make great party appetizers and can also be served as a main or side dish. 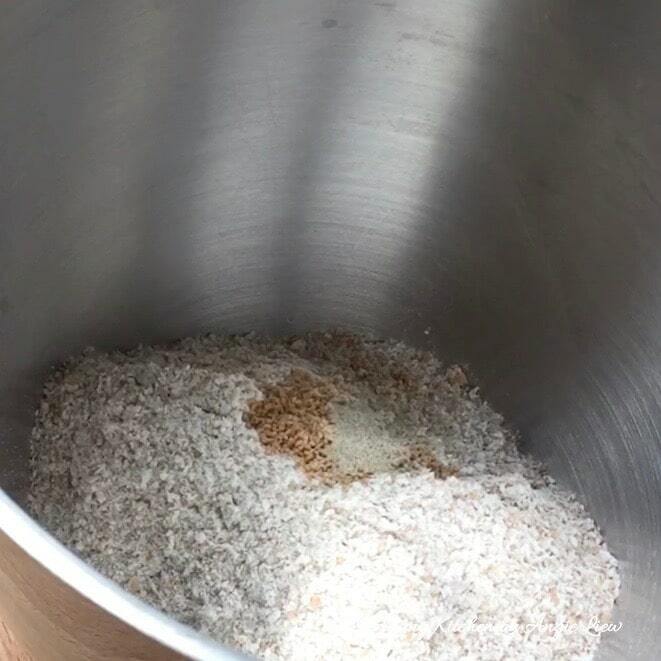 In a mixing bowl of a stand mixer, combine and mix well wholemeal flour, vegetarian chicken seasoning and ground white pepper. 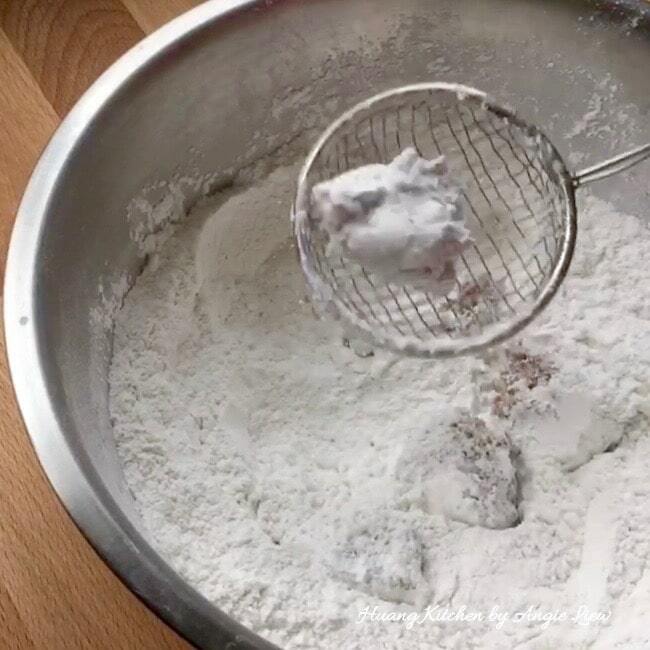 Add water and using a dough hook, mix till an elastic dough is formed. 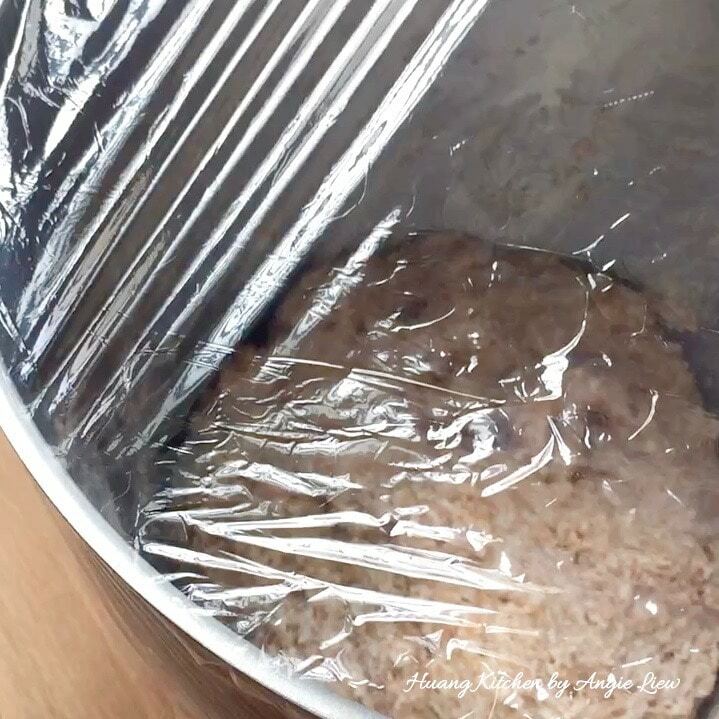 Cover with cling wrap and set aside for 15 minutes. Then, bring a pot / wok of water to a boil. Using an ice-cream scoop, spoon the dough pieces and drop into the boiling water. Allow to cook for 25 minutes. Remove and leave to cool and drain in a colander. Meanwhile, prepare the flour coating. 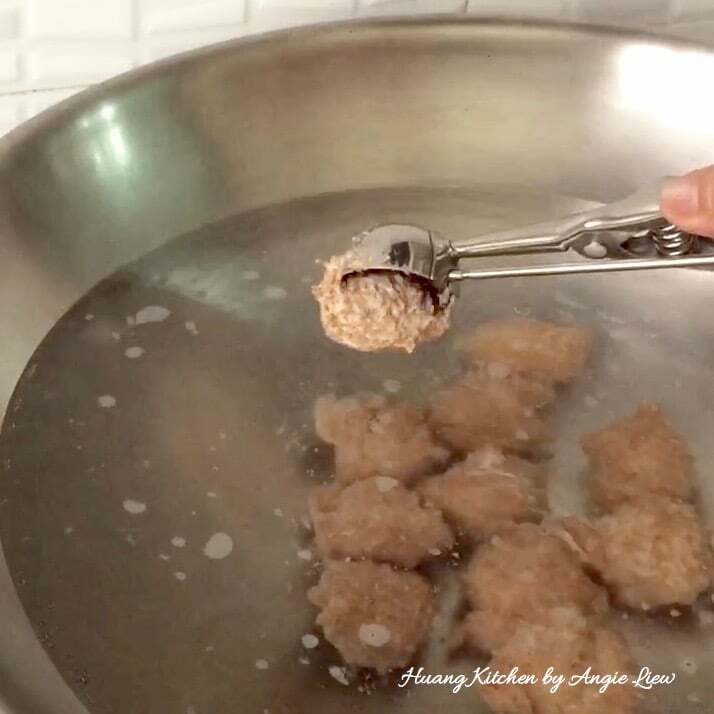 In a bowl, stir well rice flour, all-purpose flour and ground white pepper. Add the drained meat pieces and mix until evenly coated with flour mixture. 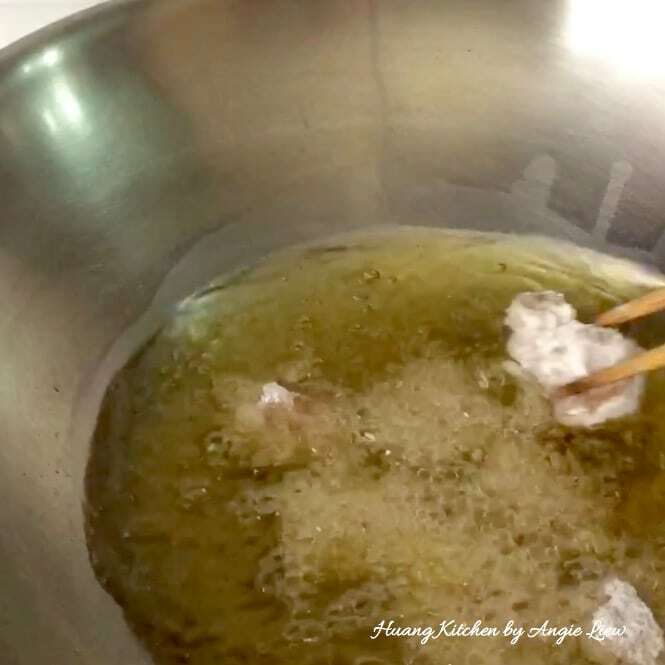 Then, heat up oil in a wok, add the coated meat pieces and deep fry till golden brown. First chop some fresh curry leave and Cut the vegetarian chicken into smaller pieces. Then marinade with chopped curry leaves, oyster sauce, ground white pepper, salt and tapioca flour. Leave to marinade for at least an hour, preferably overnight. Next, cut pandan leaves into smaller sections and soak in water for 1 hour. This will ensure easier wrapping of the vegetarian chicken pieces. 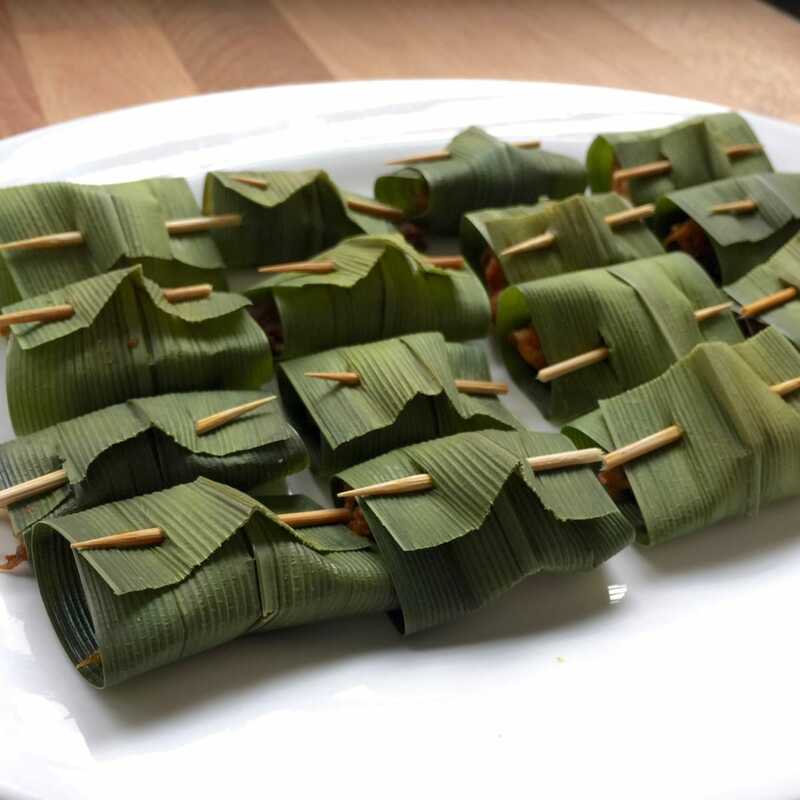 Place a piece of vegetarian chicken in the middle of the pandan leaf. 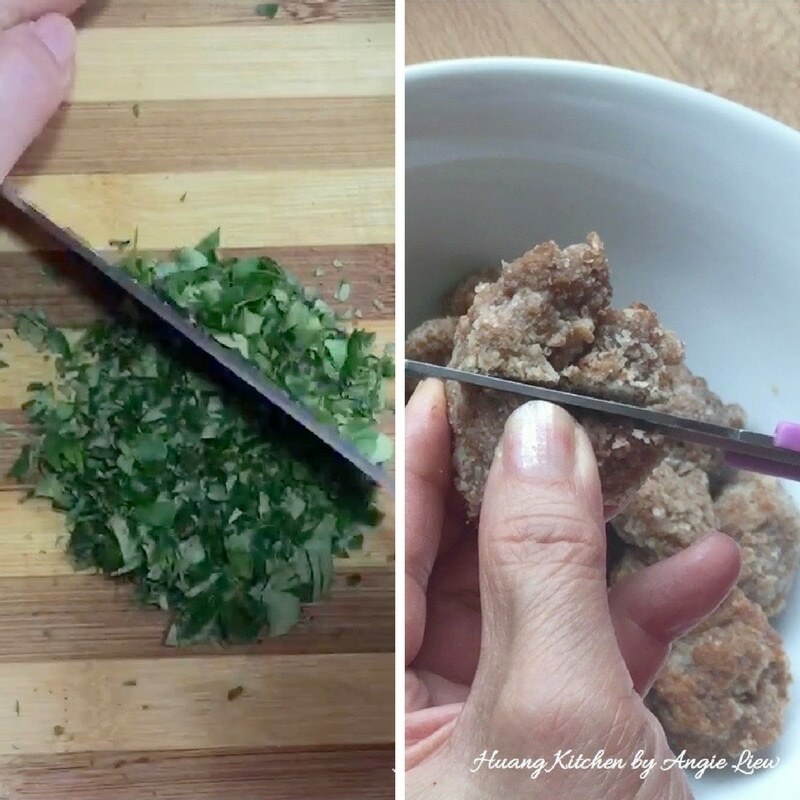 Fold both ends of the leaf tightly to the middle and secure with a toothpick. Repeat for the rest and we're done! 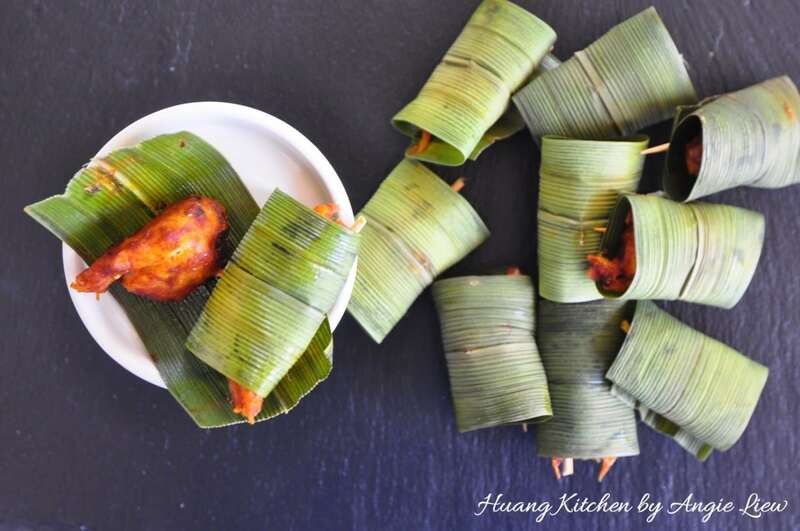 Arrange the wrapped pandan chicken pieces on a steaming tray. Bring water in a steamer to a boil and steam for 15 minutes. Remove and serve on a large plate. Makes a great party appetizer or side dish. So Enjoy! Choose pandan leaves that are of the broad type for easier wrapping. It is important to let the gluten pieces absorb all the curry spices flavour, so its best to marinate overnight. There are two ways to wrap. 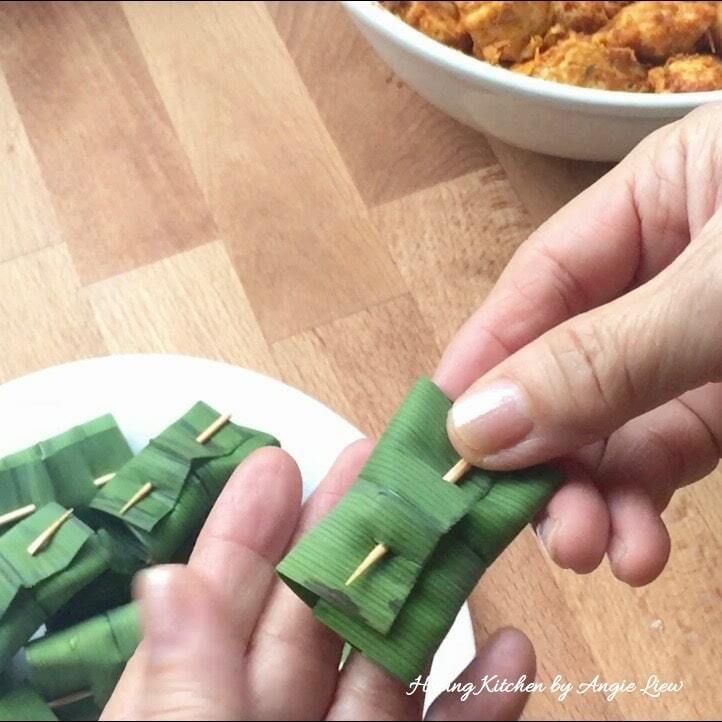 Fold the pandan leaves to form a pocket to hold the meat or simply roll the meat inside the leaf and secure with a toothpick.